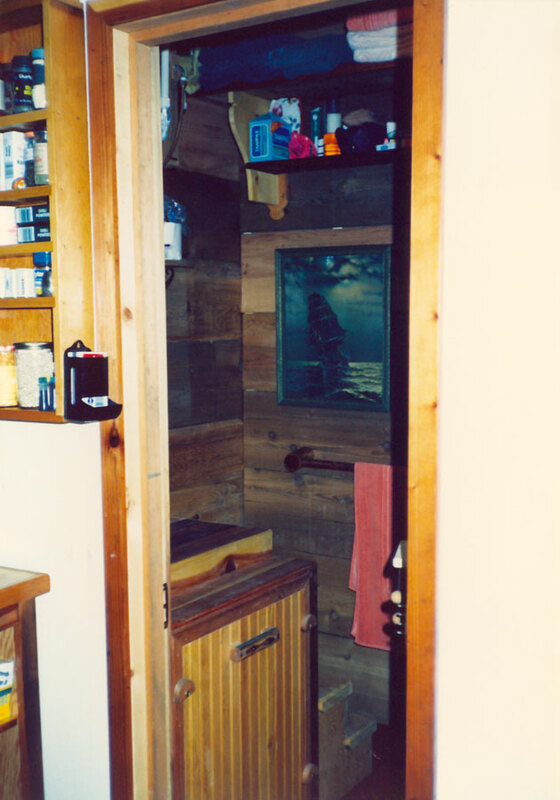 Cabin No.2, view of entrance to the bathroom from the kitchen. The composting toilet is to the left of the doorway. 1990, scanned color print, 3 x 5 in. (7.62 x 12.7 cm). Ozark Series. © 2008 by Allen C. Benson.